The Al Filipov Peace and Justice Forum was founded to promote peace and justice among all people and to demonstrate the power of an individual to make a positive difference in the world. 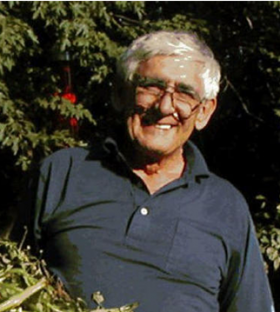 The forum honors the memory of Al Filipov, a beloved member of Trinitarian Congregational Church of Concord, who died in the terrorist attacks of September 11, 2001. Held annually in September since 2002, the Forum invites a distinguished individual to speak about his or her work and vision. Speakers are drawn from a variety of backgrounds and faith traditions, but all share the commitment of a life actively engaged for a more peaceful and equitable world. In recognition of the tenth anniversary of the events of 9/11, the Forum inagurated the Al Filipov Peace and Justice Award to be presented annually on the evening of the Forum to honor the work of our distintguished speaker and to commend the speaker's contribution to a more peaceful and just world.